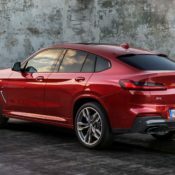 2019 BMW X4 Unveiled with New Looks, More Premiumness! 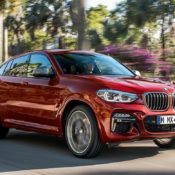 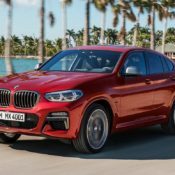 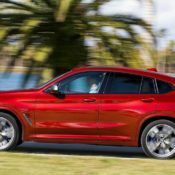 Home /2019 BMW X4 Unveiled with New Looks, More Premiumness! 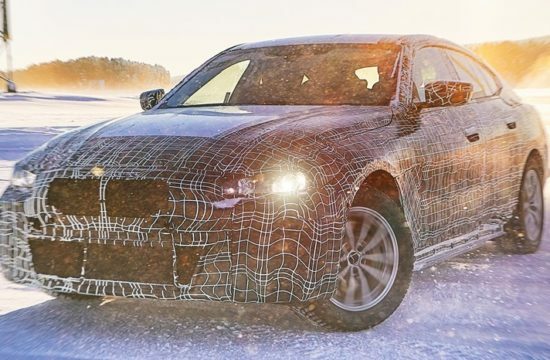 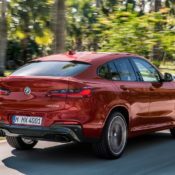 The wraps goes off of the new 2019 BMW X4, and as we’ve been expecting having seen the spy photos, there is a facelift here that makes a dubious-looking car even weirder. 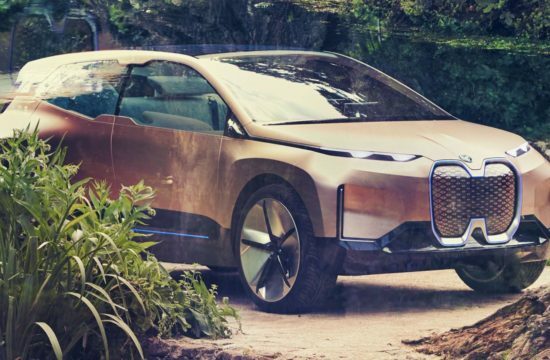 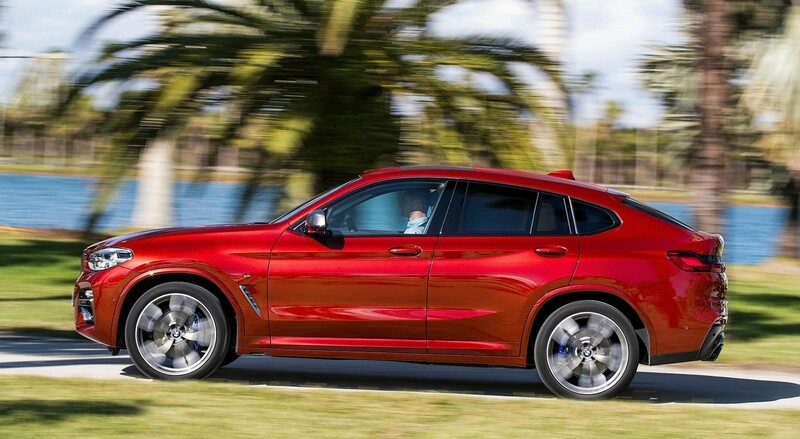 But looks didn’t stop the previous versions of the X4 to sell like hot cupcakes, so there is no reason to think the 2019 changes would do it any harm. 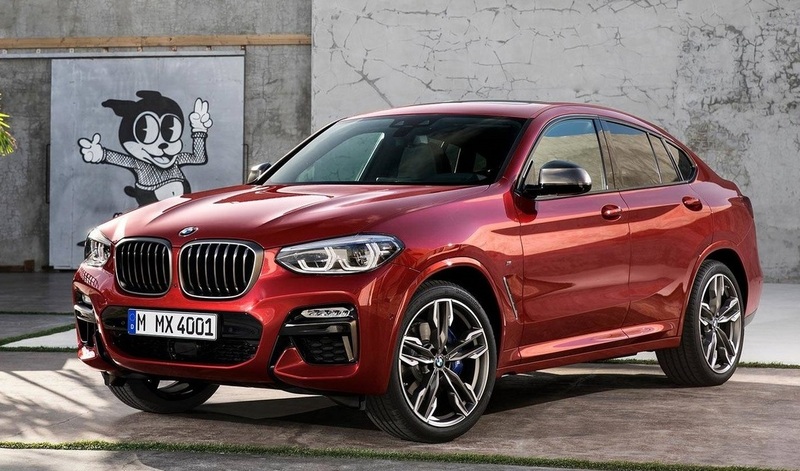 If we’re honest, it is not all bad as far as the design is concerned with the 2019 BMW X4. 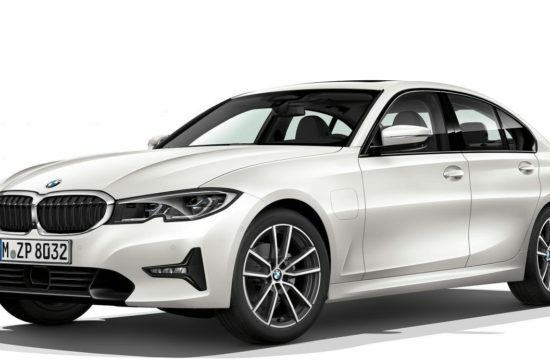 The whole looks kind of over-stretched, and the headlights are ugly. 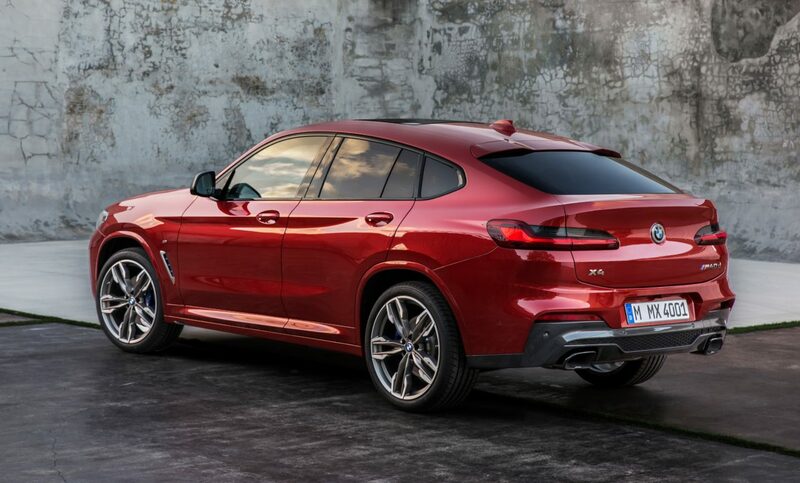 But we have to say we rather like what they’ve done with the taillights. 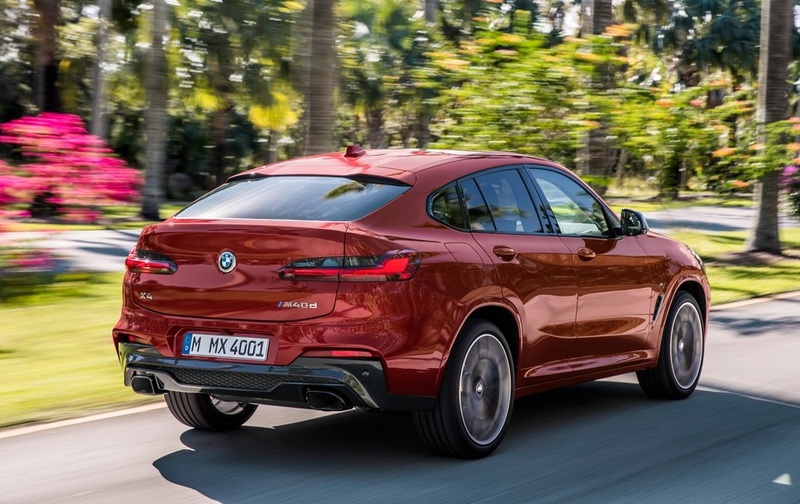 They look cool and luxurious and do a lot to make the rear-end of this car appear less abnormal. 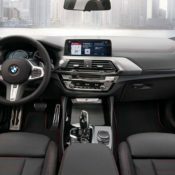 As for the interior, well, it seems to have been borrowed straight from the new 5 series. 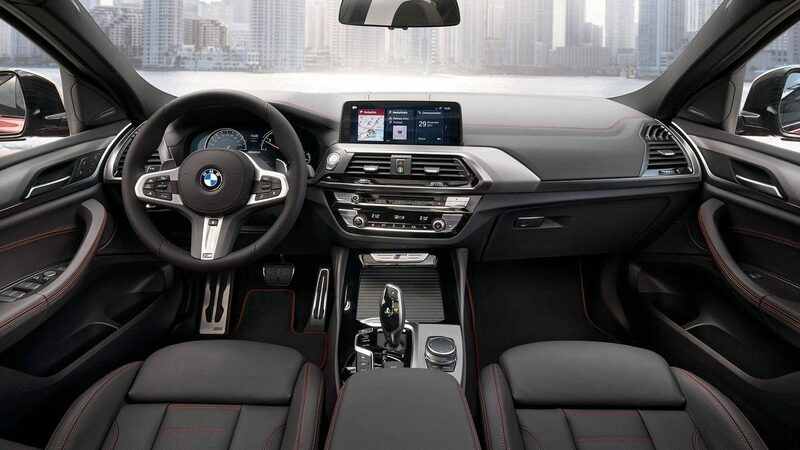 It’s a nice and premium cabin, but we don’t like the look of that chunky steering wheel. 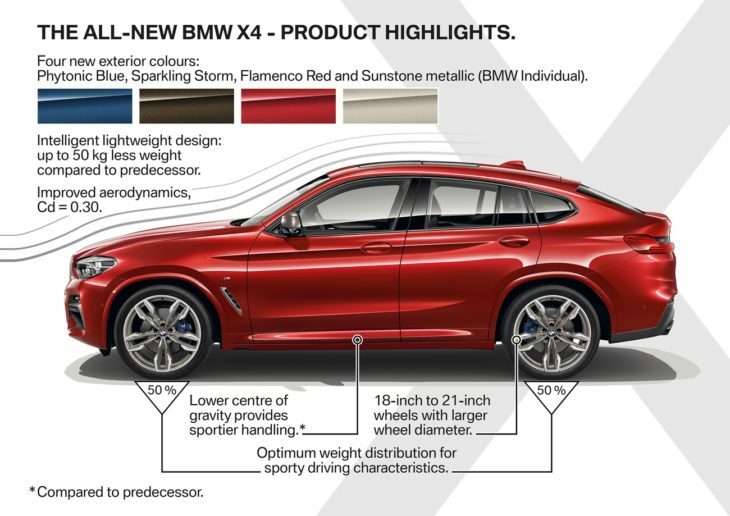 Mind you, that largely depends on which of the xLine, M Sport X and M Sport trims you go for. 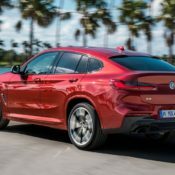 Engine-wise, the 2019 BMW X4 will launch with three petrol and three diesel units and power outputs between 135 kW/184 hp and 265 kW/360 hp. 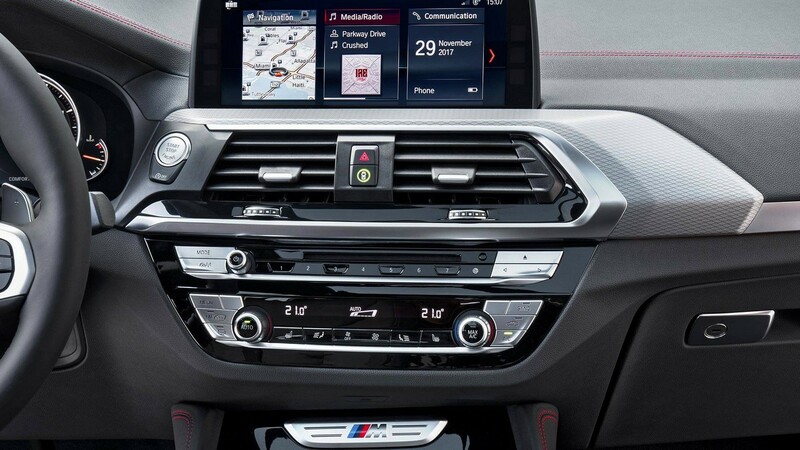 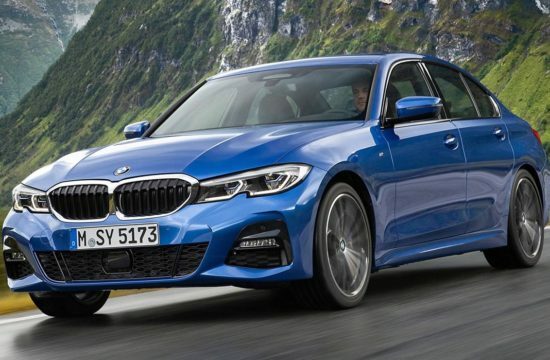 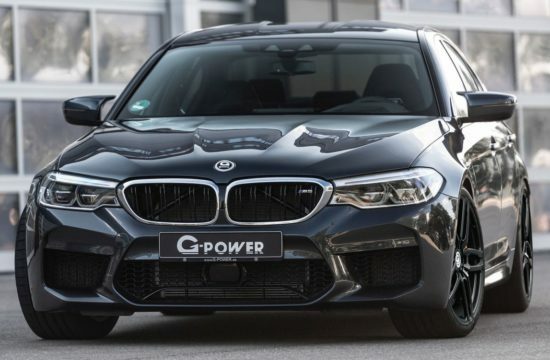 You get an eight-speed Steptronic transmission and BMW xDrive intelligent all-wheel drive standard on all models. There will also be two “performance” variants: X4 M40i and X4 M40d with petrol and diesel powertrains respectively. 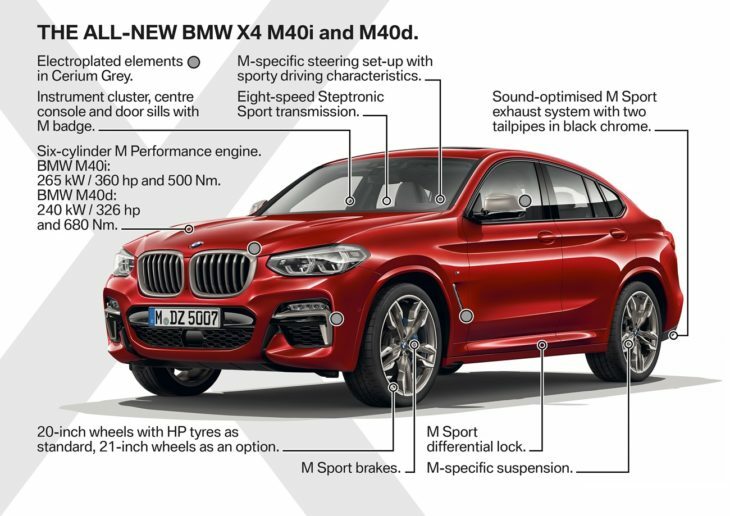 These hot ones also get their own model-specific design and equipment features. 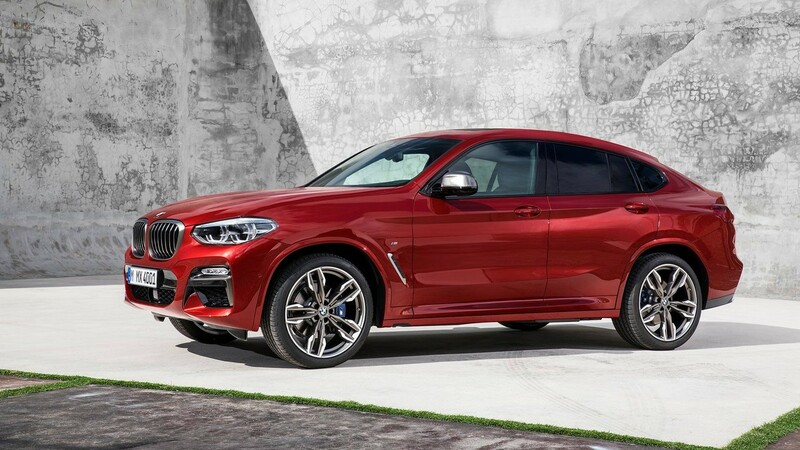 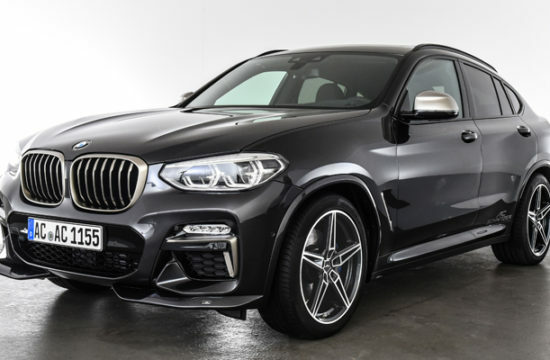 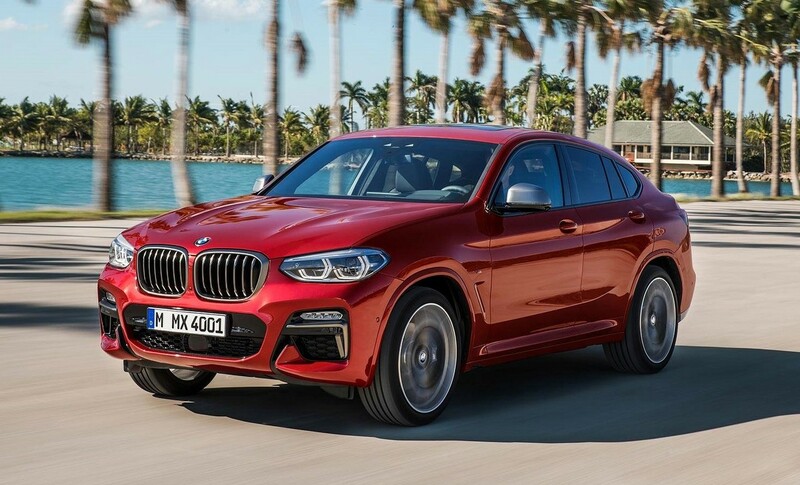 All in all, the new X4 should be nicer to drive than the previous model on account of having lost 50 kg of weight, and boasting such advanced systems as Variable Sport Steering, Performance Control, Adaptive M suspension, M Sport differential and M Sport brakes. 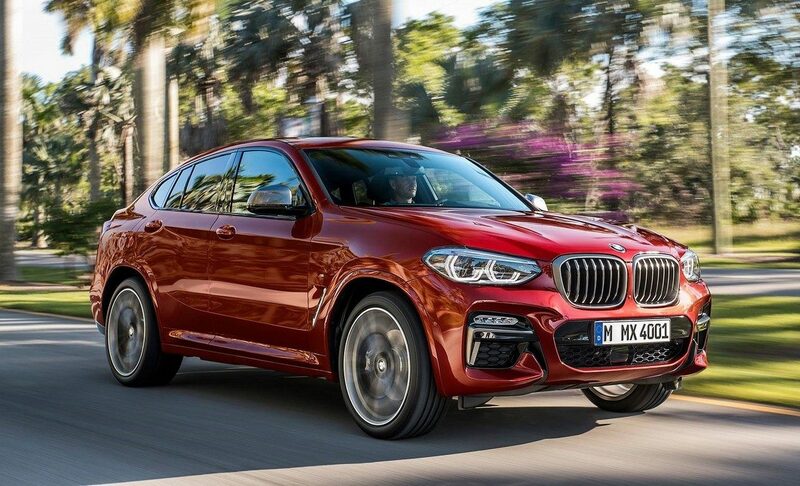 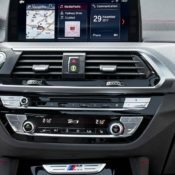 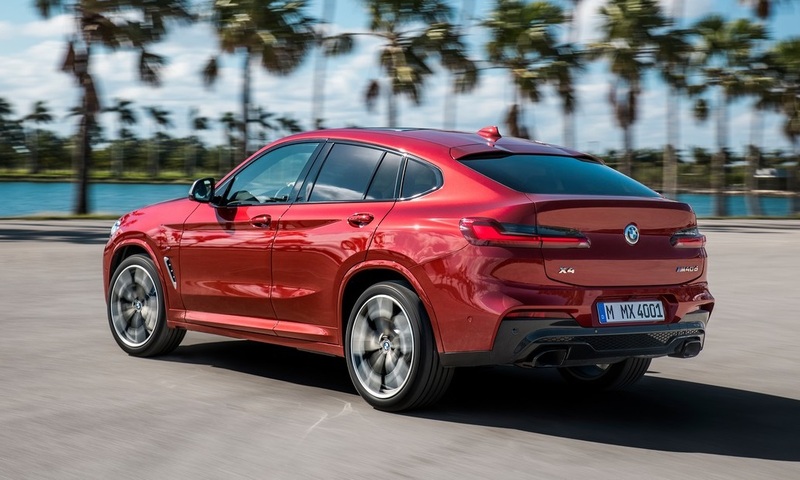 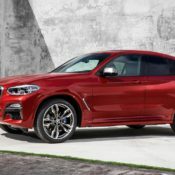 As is the case with every new BMW, the new X4 features the latest iteration of the iDrive operating system and intelligent voice control as standard, BMW ConnectedDrive. 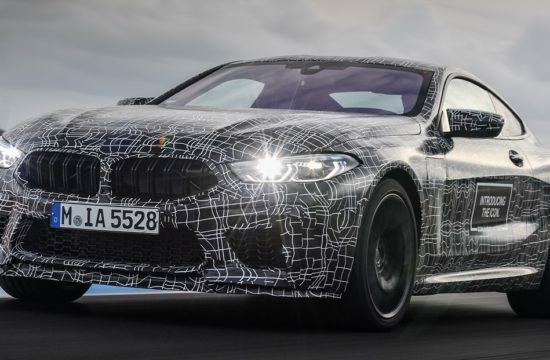 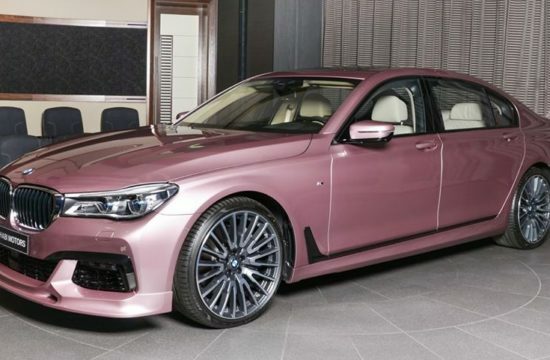 The sport activity coupe will makes its world debut at the Geneva Motor Show next month.